As I only began my challenge last week I was looking forward to receiving my weekly training plan from James on Sunday evening to see what cycling I’d be doing over the next seven days. I was really bummed out to see a rest day scheduled in for Monday as I hadn’t ridden all weekend and it was causing me so much consternation. Quite apart from my anguish at the thought of losing my base fitness, I was really missing being out on the bike and the pleasure it gives me and with my regular dose of endorphins missing I was going to get grouchy. James suggested that if I was feeling fresh, I could swop things around a bit and do an intense Zone 5 workout on Monday instead. I was really pleased about that and ever so eagerly headed to the Velopark to give it a bash. After my warm up I press record on the Garmin and sprinted off for my first 4 minute Zone 5 segment. 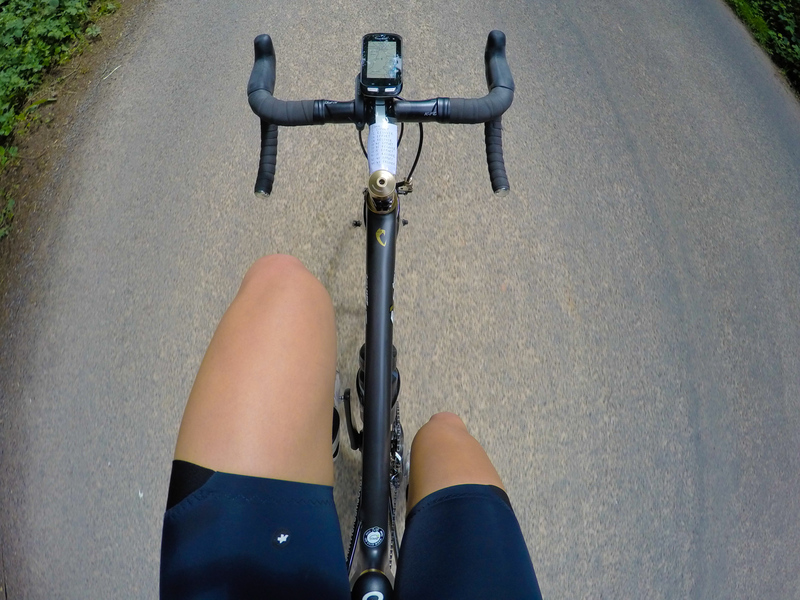 After one minute sprinting absolutely flat out my legs and lungs began really complaining and I started slowing considerably as I tried to ride through the pain. I pushed as hard as I could throughout the segment but as hard as I could turned out to be really pathetic and not only was I going far too slowly with my painful, heavy legs and stunted breathing, I wasn’t even in Zone 5 anyway. I was annoyed with myself. After the short ‘recovery’ period of two minutes, I blasted off again into a sprint and this time it was even worse. I was flagging after about 30 seconds and my heart rate didn’t even get as high as the time before. I carried on pushing for the allotted time but it was really, really difficult to do so and I felt like a real weakling, as well as confused and disheartened. 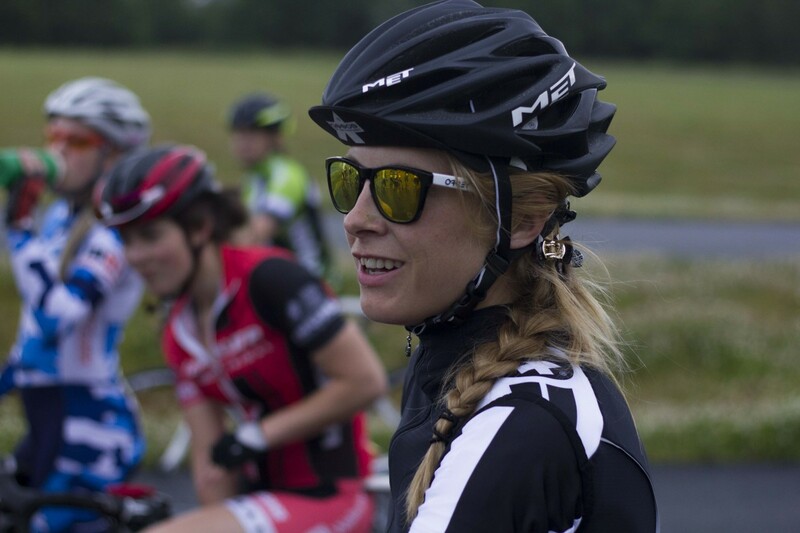 I’d really wanted to have a good ride and it felt like I’d wasted my training session which really grated as I hadn’t done anything all weekend. The next morning, James and I had a chat about it and he told me there were a few reasons which might explain why I hadn’t reached Zone 5, one of which was fatigue. I’m not really sure what the reason is, but thinking about it now, well I know for a fact I can’t really sprint for more than a minute because 30 seconds on Rollapaluza is really hard, plus I’ve done a few sprints at the track and always start flagging around then. But whatever the reason, James told me to just go for a nice ride that day and not worry about heart rates at all. I was ever so happy to oblige and appreciated every glorious minute of my gentle potter around the countryside. 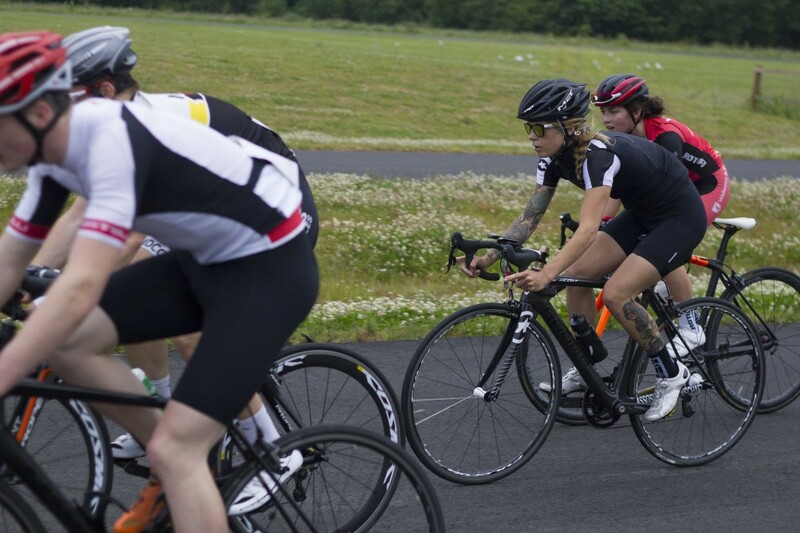 After (yet) another rest day, last night I went to a women’s Cat 4,3 and 2 race at the Velopark as I figured the best training for racing is racing. 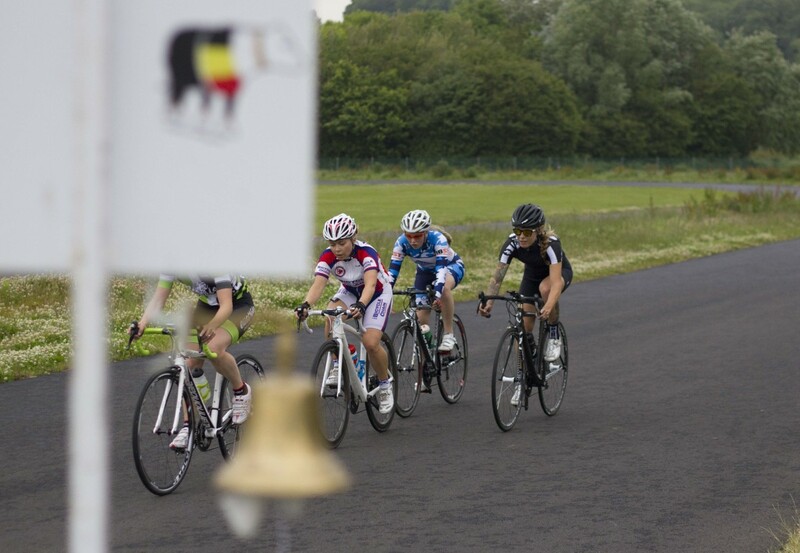 I’ve only ever done one of these ‘proper’ closed circuit road races before and that was a couple of years ago on a rather heavy steel bike with disc brakes so I had no idea how I’d do. 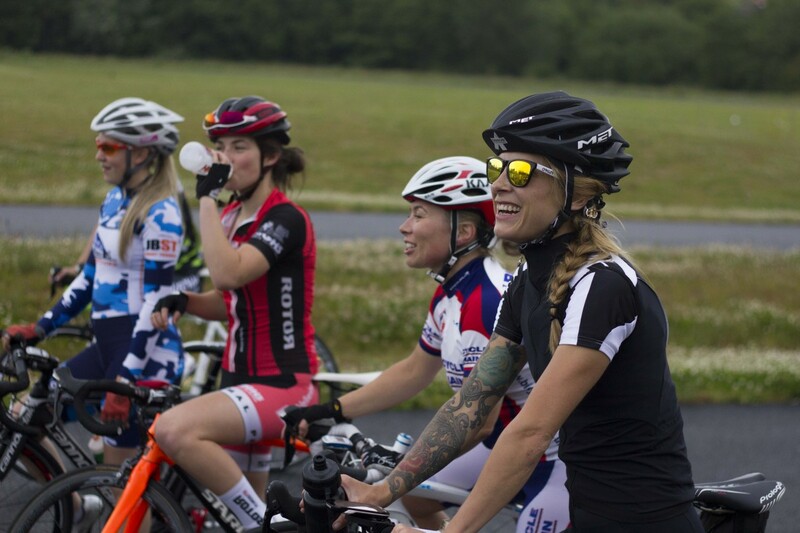 Alongside practicing working with other riders to share the time you ride at the front and some group riding and cornering practice, I wanted to use the race as a bit of a workout. I didn’t actually realise you needed a race license so I nearly couldn’t ride because I didn’t have a tenner to buy a temporary day license that would cover me. Thank goodness, someone came to the rescue and lent me £10 as my lower lip was beginning to quiver at the thought of not being able to ride!! In the end, the race was pretty mellow so I wound up taking second place, as well as having a lot of fun and getting some good practice in. And today? Well today is another attempt at some Zone 5 intervals. Wish me luck!